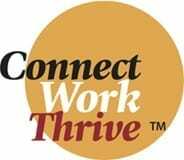 I’m really excited that Dr. Andrea Goeglein, Ph.D is leading a workshop at this year’s Return To Work You Love Conference. Here’s a short video from the workshop she led at our last conference to give you an idea of her engaging and practical presentation style. At this year’s conference, Andrea will lead a workshop on 3 Ways To Find Meaning In Your Work. Andrea is part applied positive psychologist, part entrepreneur, and all about success—your success. She understands both the pressures you face and the dreams that inspire you. Andrea merges her experience as a business owner with her training in Positive Psychology to provide effective, efficient and challenging personal development experiences. She combines an emphasis on objective assessment with an approach that is powered by your spirit and guided by your goals. Her professional development offerings are based in scientific theory and backed by direct business knowledge. She views success as a way of being organic and ever-evolving. It is the part of your nature that must be nurtured. In other words, success is more than achieving financial wealth and business results. It’s also about self-awareness, self-acceptance, and love of self. Known as Dr. Success™, Andrea is a media personality, author, publisher, former hotel owner, event organizer, CEO adviser, and spiritual community activist. She has been a counselor and personal mentor to countless CEOs of privately held companies. Above all, she is a Success Expert who puts the practice of Positive Psychology to work for you. She is Your Success Sherpa, carrying the information that feeds your mind and touches your heart. Her success is in service to your success. Click here to register for this year’s Return to Work You Love Conference.